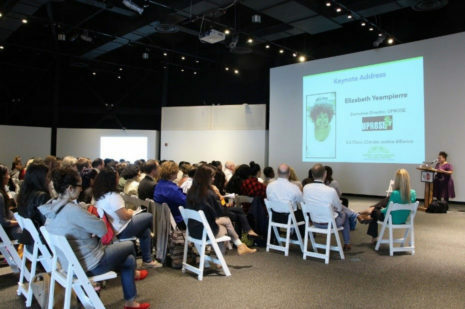 The Summit featured keynote speaker, Elizabeth Yeampierre. Ms. Yeampierre is a lawyer, environmental activist, and the Executive Director of UPROSE, a Brooklyn based organization that focuses on sustainability and resiliency efforts through community organizing and education. Ms. Yeampierre spoke about the importance of getting communities of color involved in the environmental cause and supporting students so their voices are heard. Over eighty educators participated in two ‘Round Robin’ sessions which allowed each participate to engage with every partner organization on a variety of climate-related topics. Click here for a list of the partner organizations and Round Robin descriptions.